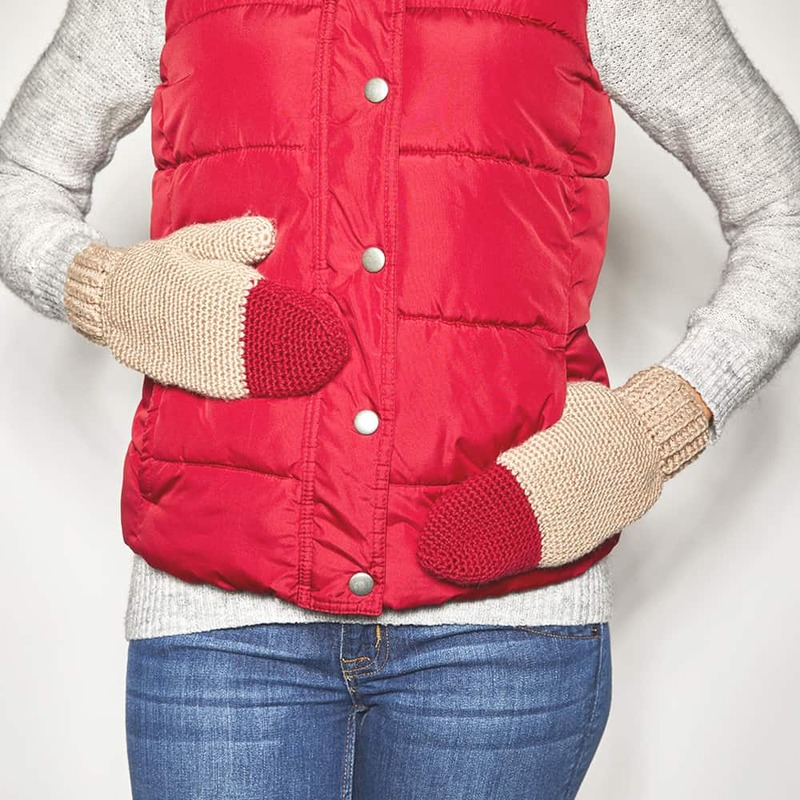 These Color Pop Mittens are just what you need to brighten up the colder days of Autumn. They’re thick and cozy so you could wear them in Winter, too. And they’re the perfect blend of colors. They’re made using a beautiful neutral camel shade and a bright pop of color on top. I love that they can be worn with anything thanks to the color palette. 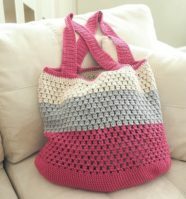 And the pattern is fun to crochet too. 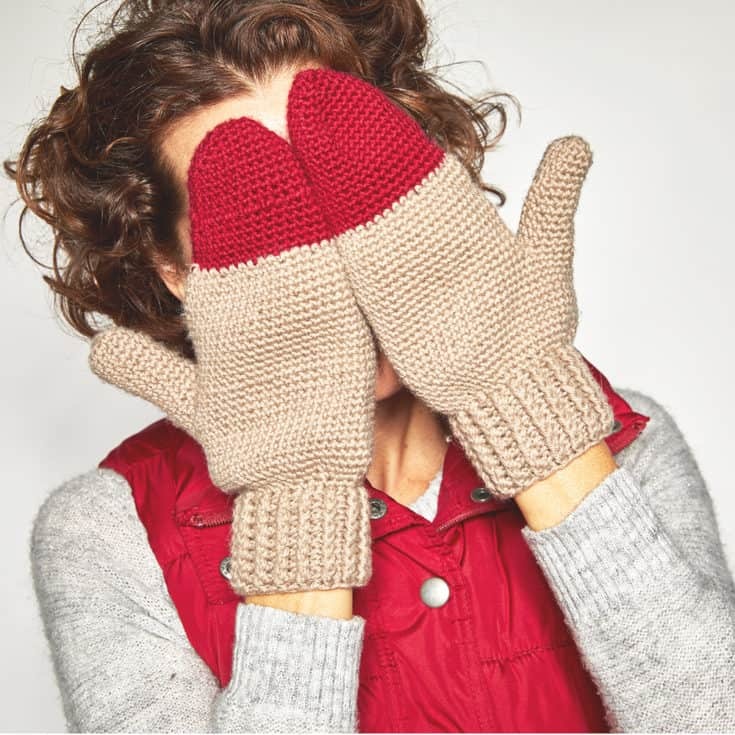 The mittens are made using an allover single crochet which is easy to follow and they have decorative ribbed trim on the bottom. I made these really quickly and they look great. The yarn really adds to the look and texture of these mittens. I used a Cascade 220 Superwash Merino yarn in Doeskin Heather and Red. The yarn is machine washable and really durable since it’s made from 100% merino wool. 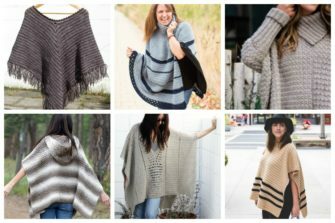 It’s warm and thick enough for outdoor knits. Perfect for your everyday pair of mittens. If you want to make these mittens before it gets too cold outside, you can grab the crochet kit I put together here. 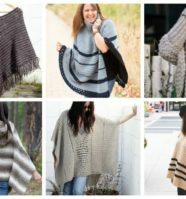 All the kits I put together have a digital pdf pattern and all the yarn needed to complete the project. 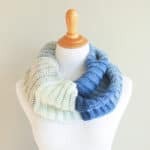 Or, if you want to switch up the colors, check out the Cascade 220 Superwash yarn on makerdrop.com. 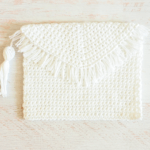 The yarn comes in beautiful shades so you can really personalize this project. Or make them as a gift for someone you love. Ch 5 (red), make 2 sc in the 2nd ch from the hook. Make an sc into each of the next 2 st, and make 3 sc in the last st, placing a st marker in the center st of the 3. Working down the opposite side of the ch, make an sc into each of the next 2 st. Sl st into the first ch, and ch 1. Rnds 7- 18: Ch 1, sc in the first st, and in each st around. Rnds 21-32: Ch 1, sc in the first st and each st around. Break yarn and set the piece aside after the last row. Line up the thumb and hand pieces, and whip st 3 st together to attach. Rnds 2-12: Ch 1, sc in the first st and each st around. Rnd 15: Ch 1, sc in each st around. 28 sc. Rnd 16: Ch 3, fpdc in first st. *Bpdc in next st, then fpdc in the next st* rnd will end on a fpdc. 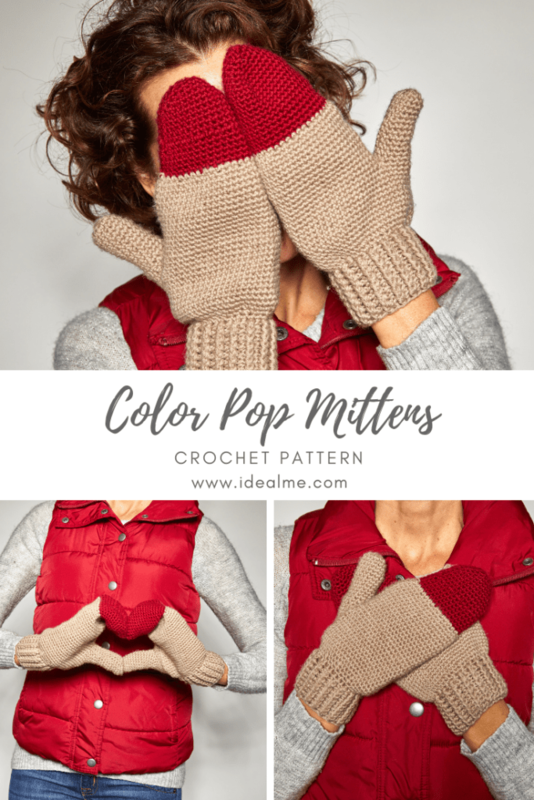 These cozy Color Pop Mittens are perfect for the cold weather headed your way. It’s a very straight forward pattern to follow and I love the way these mittens look and feel. If you want a good quality set of gloves, made from a super warm yarn this pattern won’t disappoint.